Bring the kids along to Chowpatty Beach and Red Carpet Wax Museum. Pack the 4th (Sat) with family-friendly diversions at KidZania Mumbai. Pack the 6th (Mon) with family-friendly diversions at Essel World. There's much more to do: make a trip to Gateway of India, enjoy the sand and surf at Juhu Beach, cool off at Water Kingdom, and get outside with Marine Drive. 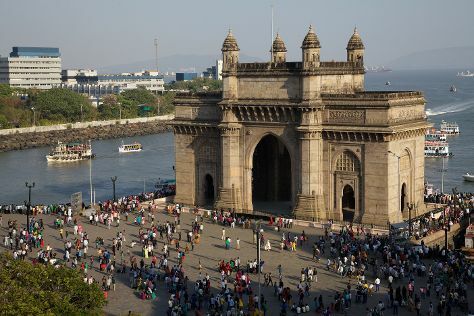 To find other places to visit, where to stay, photos, and other tourist information, use the Mumbai trip planner. If you are flying in from Sweden, the closest major airport is Chhatrapati Shivaji International Airport. In May, daily temperatures in Mumbai can reach 39°C, while at night they dip to 31°C. Finish your sightseeing early on the 6th (Mon) so you can travel back home.